Picture Perfect Royal Oak Bungalow. The list is endless: new windows, new siding, new driveway, new garage, new addition; new everything. The master doesn't get any better than this one... Walk-in closet, huge bath with two vanities. Basement is ready to finish, drain tile system in place. 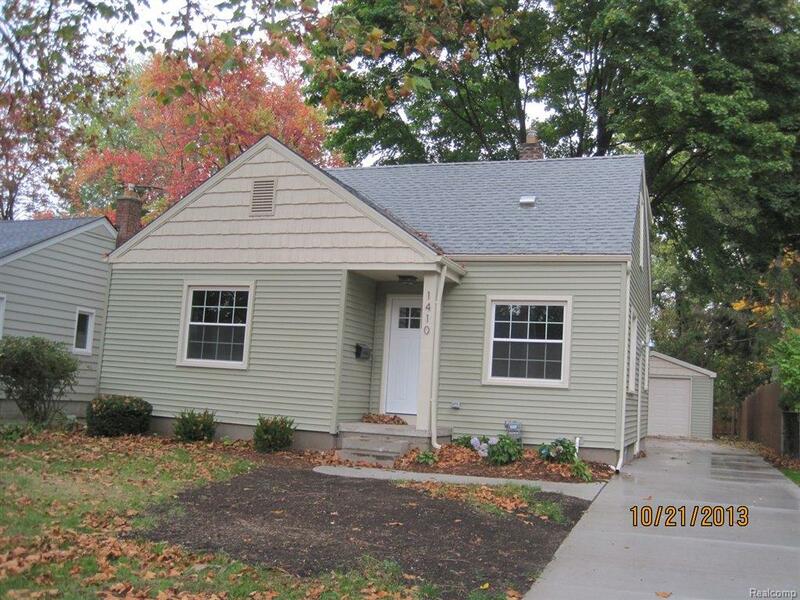 Assr's Plat No 37 Royal Oak is a subdivision within the city of Royal Oak, Michigan. There are currently 2 Homes for Sale within Assr's Plat No 37 Royal Oak, with asking prices ranging from $250,000 to $756,000. The average list price per square foot of the available inventory in Assr's Plat No 37 Royal Oak is $245, which is above the Royal Oak average of $245. The Average Sales price of all sold real estate in this subdivision for the past year is $222,900. Recent comparable homes have been selling for 98.48% of their asking price. Waterfront homes represent 0.00% of the available Assr's Plat No 37 Royal Oak inventory. The population of Royal Oak, according to the 2010 Census, is 57,236. The total number of households in the zip code of Assr's Plat No 37 Royal Oak is 12,146, with an average household size for of 2.00 people. The total number of renter households within the zip code of 48067 is 4,193, which means that 65.48% of households in this zipcode are owner occupant households. 1410 N Vermont Avenue , Royal Oak MI 48067 is a Home, with 3 bedrooms which is recently sold, it has 1,400 sqft, 0 sized lot, and 1 Car parking. A comparable Home, has 4 bedrooms and 2.5 baths, it was built in and is located at 1210 N VERMONT Avenue Royal Oak Michigan 48067 and for sale by its owner at $ 756,000. This home is located in the city of Royal Oak , in zip code 48067, this Oakland County Home, it is in the ASSR'S PLAT NO 37 - ROYAL OAK Subdivision, and ROYAL OAK MANOR are nearby neighborhoods.